NEGOMBO, Sri Lanka: Anslem Silva has fished for four decades from this popular harbor on Sri Lanka's west coast, but for five years now filling his boat has become increasingly difficult. "We seem to be spending more and more time out at sea looking for catch. Where there were fish for decades, now there is very little. It is strange, but all of us have been noticing that," said the 54-year-old fisherman, who operates his own trawler on multi-day trips reaching 100 to 150 kilometres (60 to 90 miles) off the coast. Overfishing is responsible for some of the lowered catch, but another problem may also be contributing: lack of food for the fish themselves, driven by global warming. "Rapid warming in the Indian Ocean is playing an important role in reducing phytoplankton up to 20 percent," said Roxy Mathew Koll, a scientist at the Centre for Climate Change Research at the Indian Institute of Tropical Meteorology in Pune. Over six decades, rising water temperatures appear to have been reducing the amount of phytoplankton - microscopic plants at the base of the ocean food chain - available as food for fish, according to research released in December by Koll and other scientists from the United States, South Africa and France. That "may cascade through the food chain, potentially turning this biologically productive region into an ecological desert," Mr Koll said. Such a change would curb food security not only in Indian Ocean rim countries but also global fish markets that buy from the region, he said. As waters in parts of the Indian Ocean have warmed by 1.2 degrees Celsius over the last century, the mixing of surface water and nutrient-rich deeper waters have slowed, the scientists said. That has prevented nutrients from reaching the plankton, which are mostly active in surface waters. "The vertical mixing (of water) is a critical process for introducing nutrients into the upper zones where sufficient light is available for photosynthesis," said Raghu Murtugudde, a scientist from the University of Maryland. 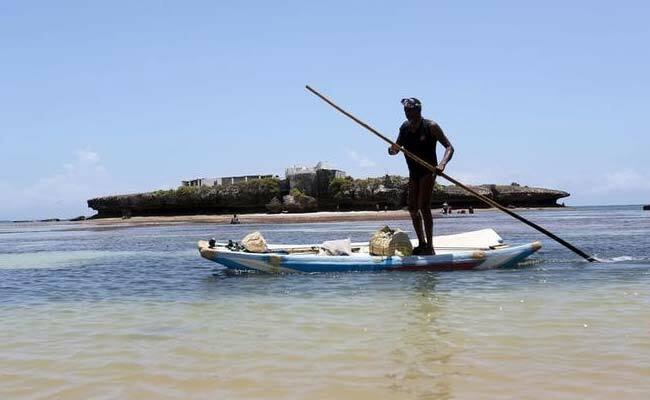 The researcher said that recent data showed phytoplankton levels falling dramatically in some regions that are traditionally home to large shoals of fish, such as near the Kenyan and Somali coasts. "Recent satellite data show that the decline is up to 30 per cent in the western Indian Ocean during the last 16 years, which is one of the most biological productive regions in the tropics and host to some of the most economically viable tuna species," said Marcello Vichi, another of the study's coauthors, from the University of Cape Town. The western Indian Ocean is responsible for 20 per cent of the global tuna catch, the research said. While tuna overfishing was a contributing factor to lower stocks of the fish, declines in food sources - such as phytoplankton - were also a significant problem, it said. Mr Koll predicted fish stocks could decline significantly further in the face of continued overfishing and ocean warming. "All of the state-of-the-art climate models unanimously project that the Indian Ocean will continue to warm under increasing greenhouse gases. This will result in a further decline of the phytoplankton in the Indian Ocean, exaggerating the stress on the marine ecosystem and the fish, which are already affected by overfishing," he said. The impact will be felt in countries around the Indian Ocean, including India, Sri Lanka and Bangladesh. But importers such as the United States, Europe and Japan also could feel the impact, the scientists said. Fishermen in Sri Lanka say they already see the number of fishing boats in some of the country's ports declining as a result of the changes. "It is very difficult to operate a new boat ... so few people now want to get into fishing at a large scale," said Mohamed Riyazudeen, who works as a boat captain from Valechchennei, an important fishing port on Sri Lanka's east coast. He called the research on ocean warming very bad news. "What are we to do? We don't know any other trade and if there is no fish, what are we to catch?" he asked.